The cubs, one male and one female, are relatively relaxed at a young age, yet we are still trying to limit vehicle pressure on them to allow them to gradually be habituated to these noisy green things we call Land Rovers that they will hopefully be seeing plenty of during their lives. 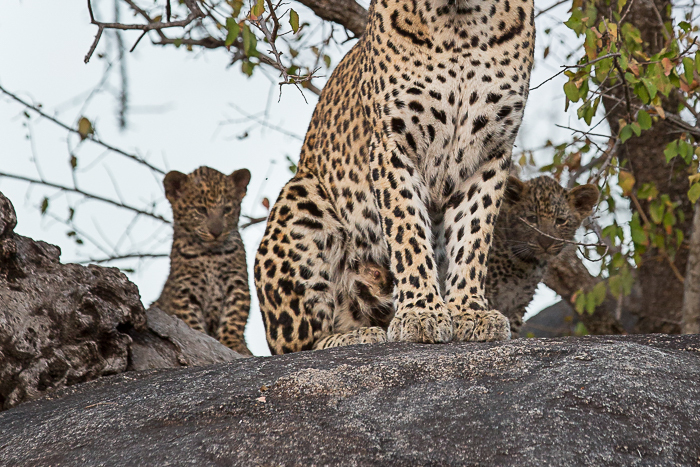 Discovered by tracker Andrea Sithole, their mother has been doing an excellent job of choosing the most rocky densites in which to hide them, with adequate bolt-holes for them to seek refuge in should another predator approach threateningly. 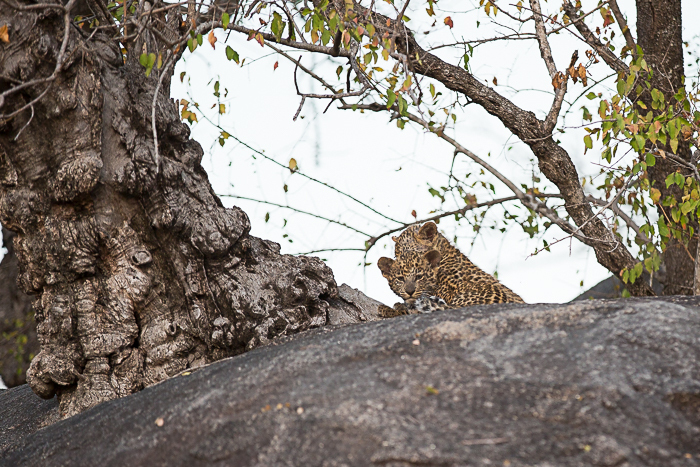 Although their mother has been hunting very succesfully in the last few weeks, with a number of kills being hoisted around her territory, we have yet to see the cubs taken to their first kill, despite being old enough. The high number of hyenas in the area at the moment may have something to do with it. The cubs at one of their first den-sites. This was the first time thay had been properly viewed by a land Rover with guests and they were initially shy, but after we sat quietly for awhile they relaxed considerably. This is at their second den-site. Does the coat colour of the mother look familiar? Their hiding hole is in the dead tree on the left of the picture. 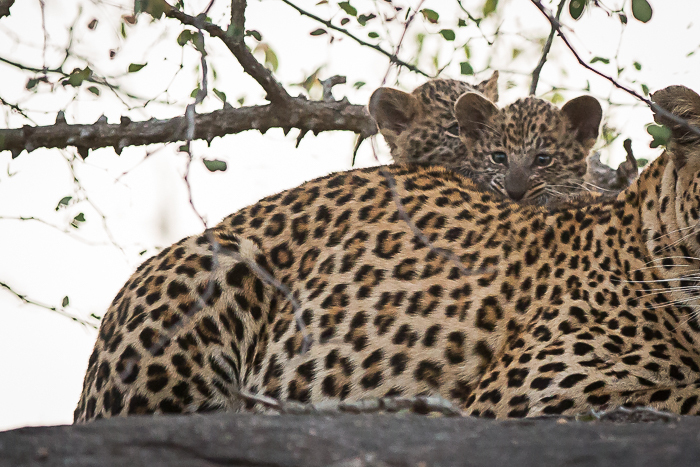 Watch the blog next week to see who the mother is, and a little more about these cubs. 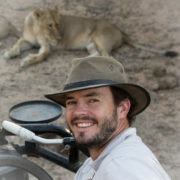 Mashaba female,and the father of the cubs probably the 4:4 male. Best guess is Tamboti or Mashaba females. Either way=exciting times! I’m going to go with Mashaba. YAY, new cubs!!! They are just adorable!! Congrats to the Mum!!! 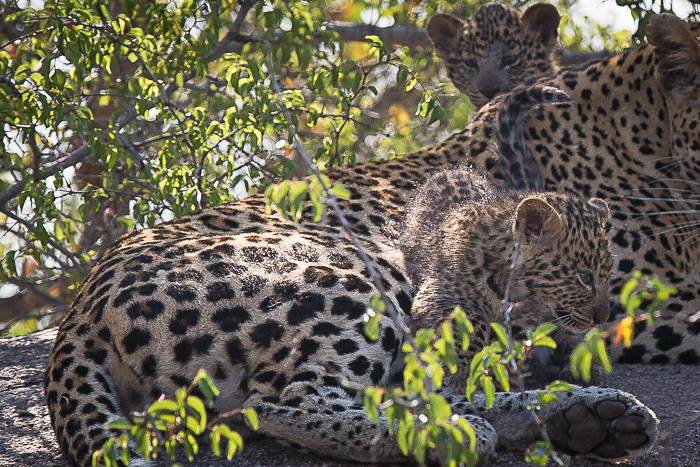 Love seeing the population expanding in Londolozi…..Adorable cubs with blue, blue eyes….Don’t you just love it !!! With that beautiful golden coat I guess Tamboti female…and Piva male is my guess for the father. It’s so exciting to see new cubs…they are so sweet! Awww, life begins again. How great to have new babies around! I couldn’t guess who the mom is but I can’t wait to read all about it. Look after them James , would love to see them next month and see if we can work our magic again…….